Step Up Your Sandwich Skills For a #NextLevelLunch! We partnered with Applegate this Back to School season to help you elevate your lunch game using their wide selection of natural meats and cheeses. We consider sandwich making to be an art form. Sure you can throw anything between two slices of bread and call it a sandwich, but that's just not our style. We've pulled together some of our top sandwich making tips to ensure the school and/or desk lunches you pack this year are anything but sad! It may go without saying, but your sandwich will only go so far as the ingredients you start with. Applegate's All-Natural Deli Meats & Cheeses are always antibiotic free, sans GMOs and humanely-raised so you can feel good about piling them on nice and high! Plus, their cheese is made from the milk of pasture-raised cows. 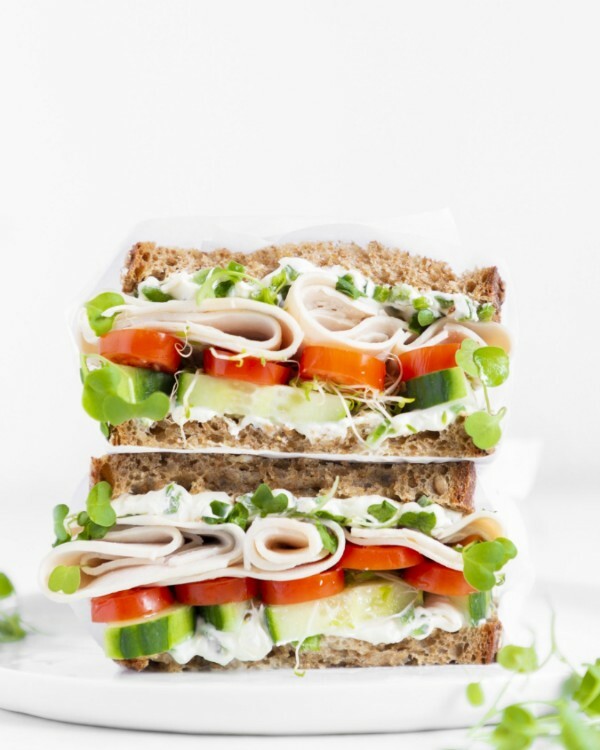 Once you have your ingredients squared away, get creative with your sandwich's structure. 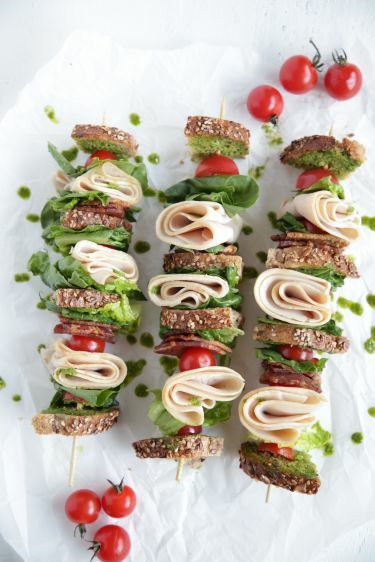 Try your favorite combination layered onto skewers (like we did here), go open-faced, or reach for the panini press or grill pan (it's all about the crispy edges!). There's pretty much nothing worse than a soggy sandwich. Okay, we may be exaggerating, BUT with such an easy way to prevent it, let's just all vow to never eat a soggy sando again, ok? The key is to spread a thick layer of mayonnaise, butter or cream cheese (hint hint: try our jalapeño-laced sandwich spread here!) onto both slices of bread to create a barrier to fight any moisture-laden add-ins. Want to spice things up? 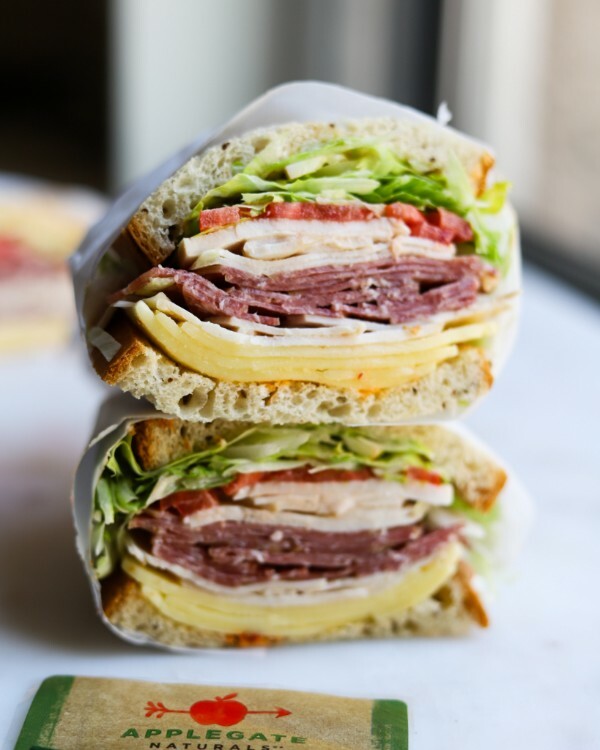 Try adding some Calabrian chiles to your standard mayo like @lindseyeatsla does in this Stacked Spicy Italian Sandwich made with Applegate Chicken Breast, Natural American Colby Cheese, Organic Oven Roasted Turkey, Salami and Soppressata. It's all about the crunch! Try adding things like cucumbers, potato chips, pretzels and pickled vegetables to keep your sandwich texturally interesting. 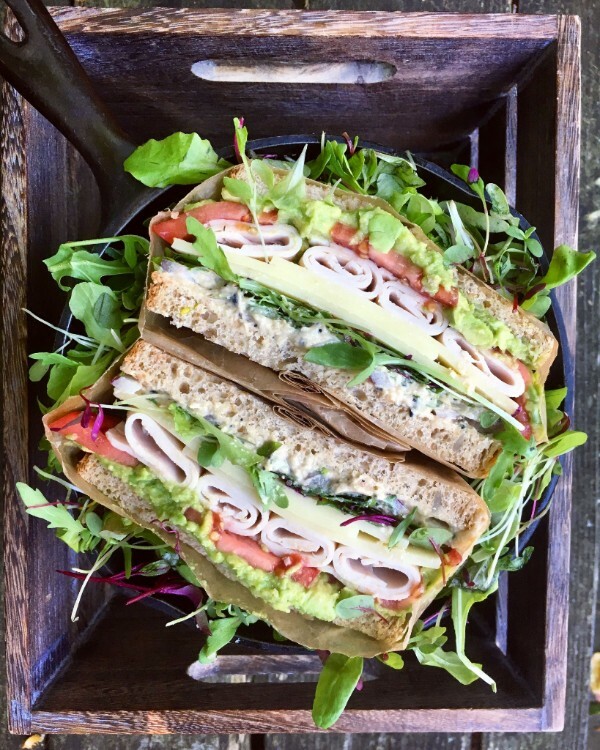 @lifeisbutsdish added crunch to her favorite turkey sandwich with the addition of crisp green apples. Yum! You've chosen your ingredients wisely, protected your bread and added an element of crunch. What could be left to do, right? Assembly! Since you've taken the time to curate a beautiful sandwich, you should take the time to layer it properly. 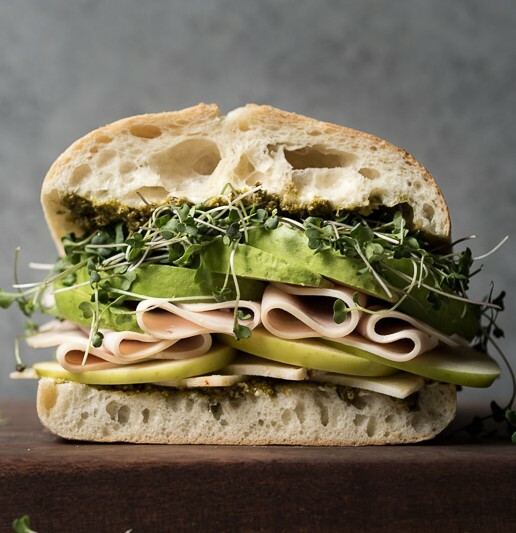 We love adding lettuces, herbs and microgreens to our lunch, but make sure you save them for the very top of the sandwich so they don't get bruised and squished by heavier ingredients (i.e. All that glorious meat & cheese!). In case you need a lesson in how it's done, just check out this beauty by @dianemorrisey!